On July 16, 2017, feast of Our Lady of Mount Carmel, Pope Francis encouraged men and women Carmelites to continue on the way of contemplation. Our Lady of Mount Carmel is one of the eight feasts of the Virgin Mary that punctuate the Liturgical Year. 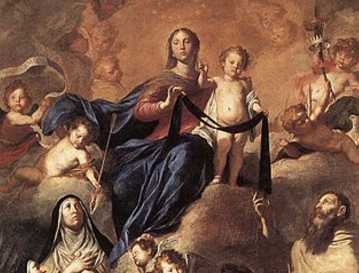 Devotion to Our Lady of Mount Carmel spread in the West with the “scapular,” which the Superior of the Carmelite Order, Simon Stock, created inspired in a vision of the Virgin on July 16, 1251.